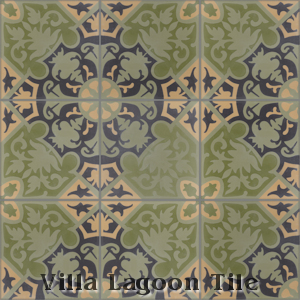 These are multi-color 8" cement tiles, using colors from the South Beach Palette. 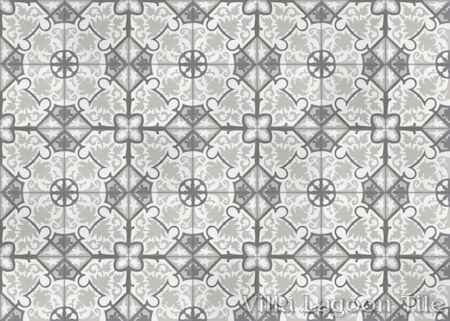 Our "Rumba" cement tile pattern is a classic example of Cuban Tile: intricate florals, repeated in classic geometric motifs. 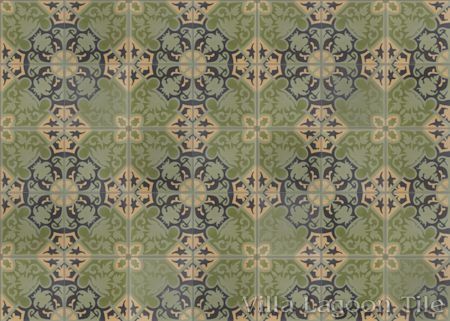 In this case, the major theme is a variation of the star and cross. 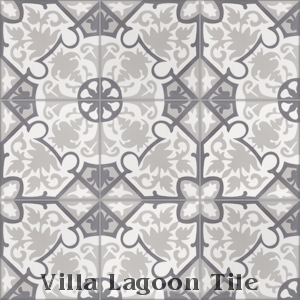 Standard Price:$7.29 per tile ($16.76 / square foot)12 tiles per box. 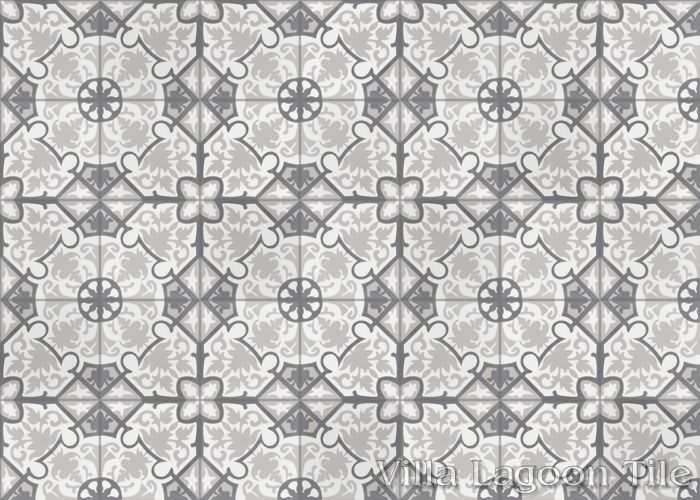 5.22 square feet. 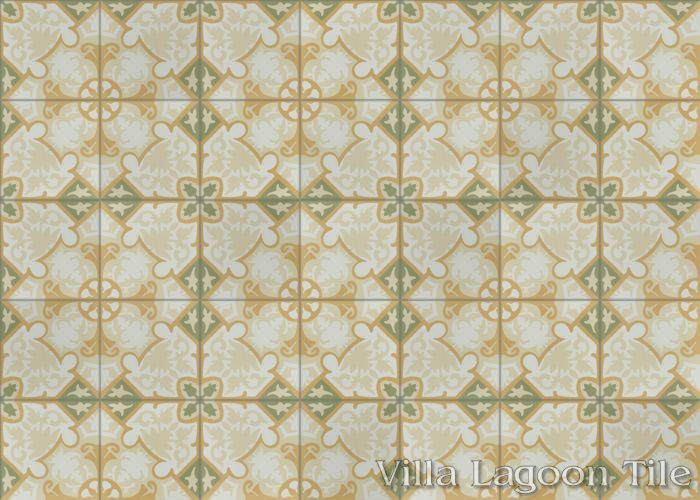 How about a fizzy lemonaide on the veranda? 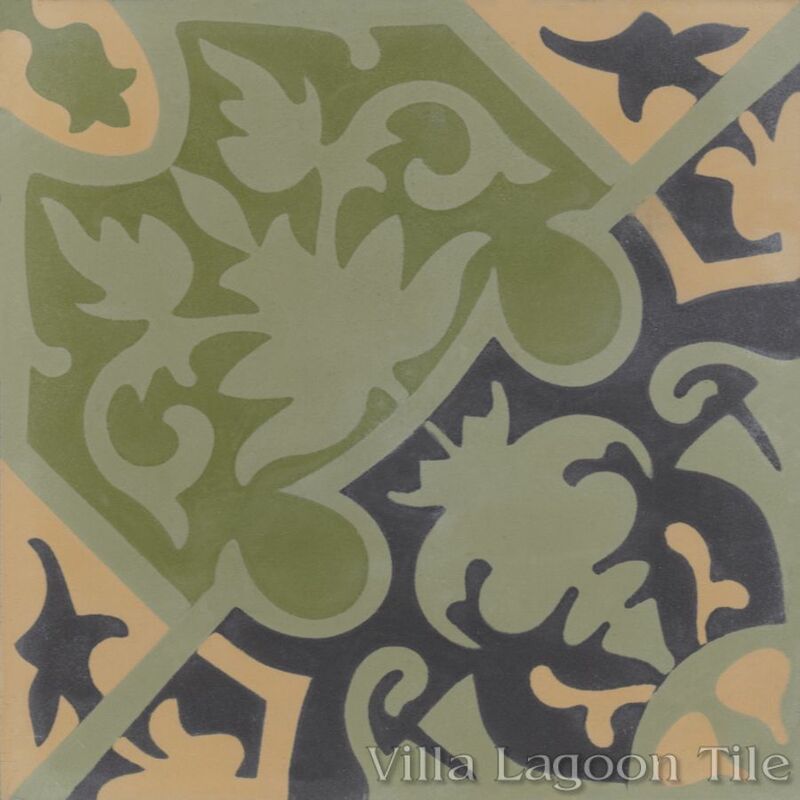 With the delicateness of a whisper, our "Rumba Fresco" will lift anyone's spirits. Imagine white columns and a loggia of pale yellow and soft lime overlooking the lawn. Villa Lagoon Tile's "Rumba" cement tile pattern using White, Whipped Cream, Lichen, and Straw from the South Beach Palette. 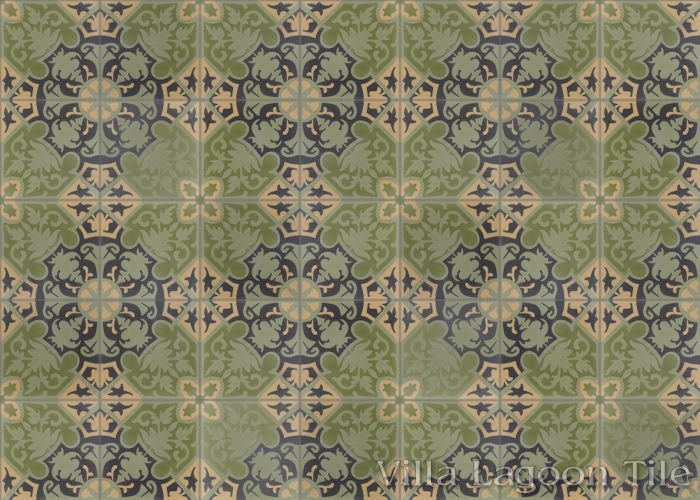 Our Rumba cement tile is a Cuban version of a Persian carpet. 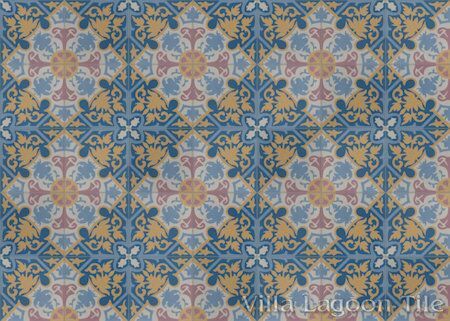 The colors and detail in this Cuban tile embody the exuberance of Cuban everyday life. 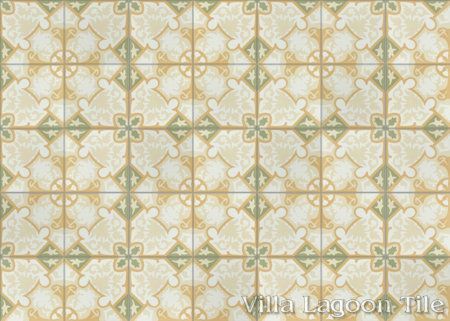 Pair the field tile and pattern border with a row or two of any of the solid colors in this spectacular tile for a glorious floor. 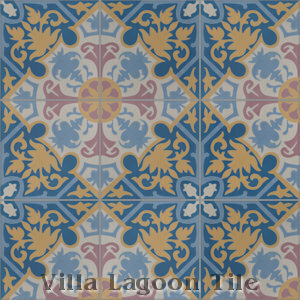 Villa Lagoon Tile's "Rumba" cement tile pattern using Smoke, Washed Denim, Deep Inlet, Royal Blue, Cranberry, and Oro from the South Beach Palette. 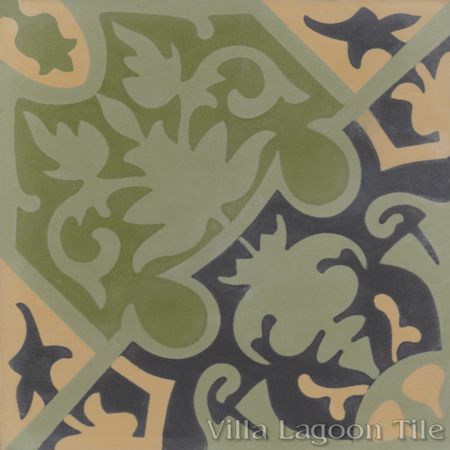 Our "Rumba Primavera" colorway provides a lush green springtime feel. 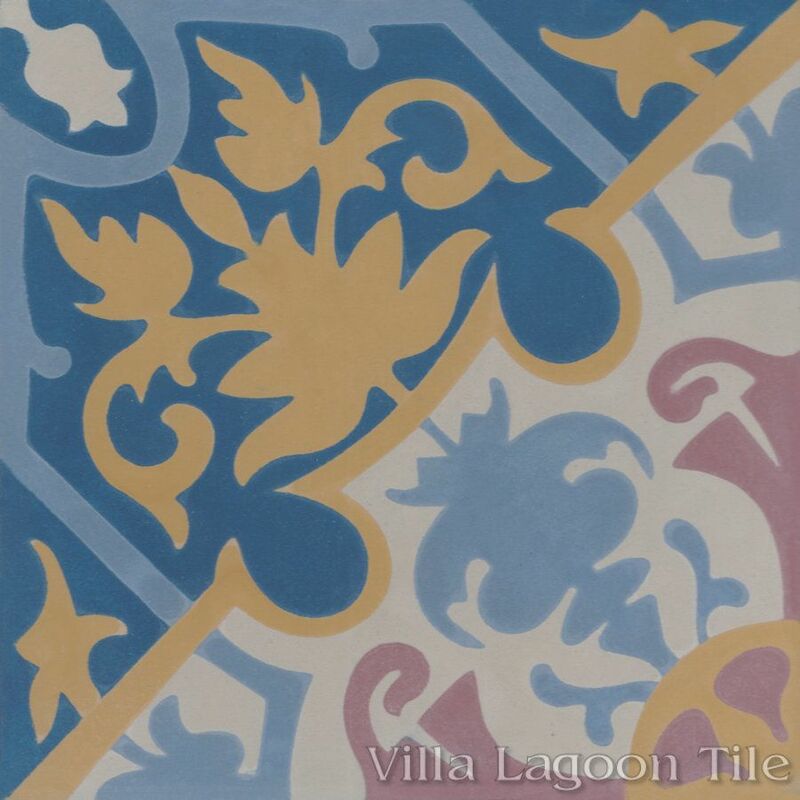 Villa Lagoon Tile's "Rumba" cement tile pattern using White, Monte Verde, Ponderosa, Miami Blue, Channel Blue, and Oro from the South Beach Palette. 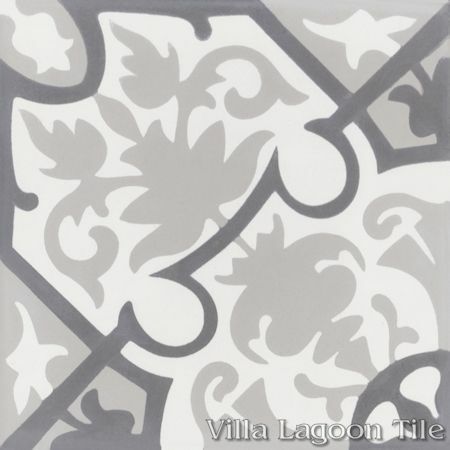 Our Rumba Cuban Tile in the "Sencillo" colors takes on a whole new identity with the soft grey-on-grey effect. 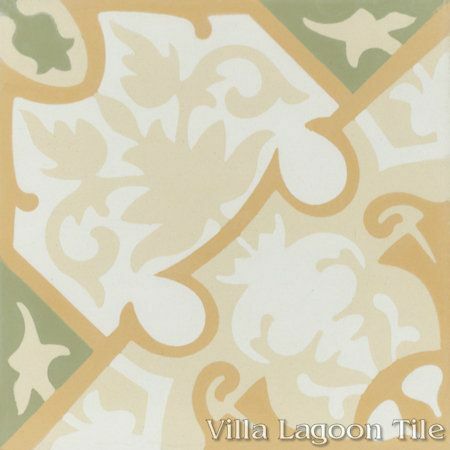 Lightness and clarity come to mind when the graceful tracery is emphasized and the detailed flourishes are subtle. 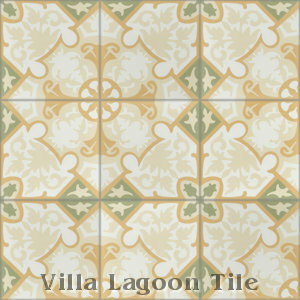 Villa Lagoon Tile's "Rumba" cement tile pattern using White, Putty, and Excalibur from the South Beach Palette.